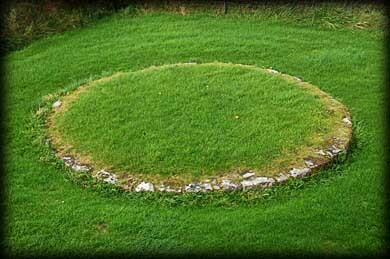 Founded by Saint Laisrén mac Nad Froích (aka St Molaise) in the 6th century, the monastic site was built on a pilgrimage route to Croagh Patrick. As you view the Island from Trory Pier you can see the 25 metre tall 12th century round tower standing majestically above the ruined buildings. 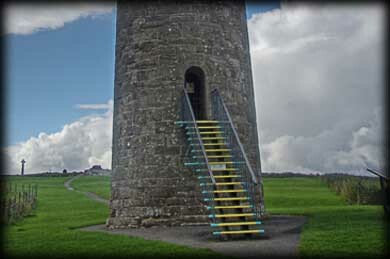 The tower has wooden floors and can be climbed by the public via a series of ladders. 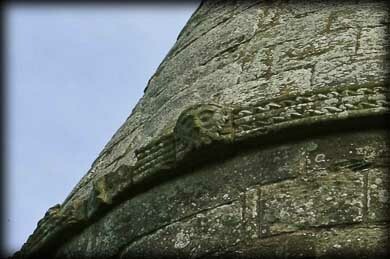 The tower is decorated with 12th century romanesque features, the most unusual feature is a beaded cornice running around the top of tower with head sculpture featured above the bell-storey windows. 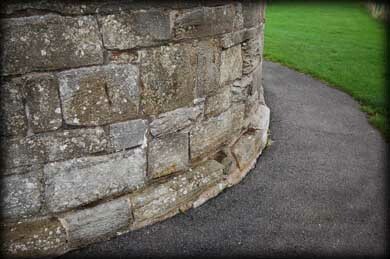 To the north of the tower is the foundation of possibly a second tower. Unfortunately on our visit interior restoration work was being done on the monument and the tower was closed to the public. Door: Above ground 2.59m. Type: Arched. Windows: Seven. 1 angled 6 square. 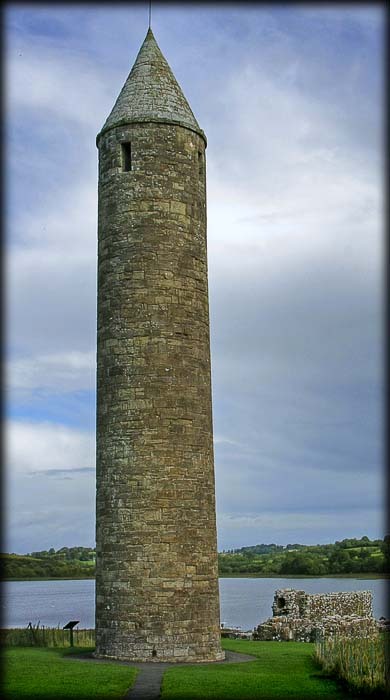 Situated: An island on Lower Lough Erne, County Fermanagh. I was notified recently that the only access to the island is from Round O Jetty, Brook Park, Enniskillen. Update: The Northern Ireland Environment Ageny run a ferry from Trory Point throughtout July and August. Click here for details. Discovery Map 17. H 2234 4731. Last visit Sept 2010.